A Yorkshire estate agency has completed a hat-trick of acquisitions in the next stage in its journey of natural growth. The three deals clinched by Linley & Simpson propel its letting portfolio past the milestone of 5,500 managed properties across North and West Yorkshire. They also add homes that are on the market to its residential sales division. The independent agency, which has a network of 11 High Street branches, has taken over Mint Property in York; Acorn Estates, which had offices in Yeadon and Horsforth; and an undisclosed agent based in Leeds city centre. The deal with Mint marks a rare “back to the future” double for both companies – Linley & Simpson had previously acquired its Leeds property portfolio seven years ago. And in Acorn, founded in 1993, it has strengthened its business with one of the longest-established agencies in North Leeds. The portfolios of all three agencies will transfer seamlessly into Linley & Simpson’s established teams at Micklegate in York city centre; Station Road in Horsforth; and Swinegate in Leeds city centre. Director Will Linley, who founded the business in 1997 with Nick Simpson, said: “We are thrilled to welcome all three of these home-grown independent agencies into the Linley & Simpson family. “They are a perfect fit for our business and complement our geographical footprint. They are assets which can only help us enrich the quality of customer service we offer. “This extra dimension will offer landlords the opportunity to access our growing database of people looking to rent in some of Yorkshire’s most sought-after locations. “And it will benefit tenants by extending the pool of properties they can search for. “The hundreds of extra properties we have inherited will ensure we are ideally placed to keep pace with rising rental demand. It’s a challenge that has become a struggle for many agents, especially as a result of more people renting for longer. The trio of deals – each bought for an undisclosed sum – was financed through internally-generated funds. It will result in more than 350 properties switching to Linley & Simpson. They take to 30 the number of acquisitions undertaken by Linley & Simpson since it first opened its doors as a dedicated letting agent 21 years ago. Then, it launched with just two offices – Horsforth and Roundhay – and a handful of staff. 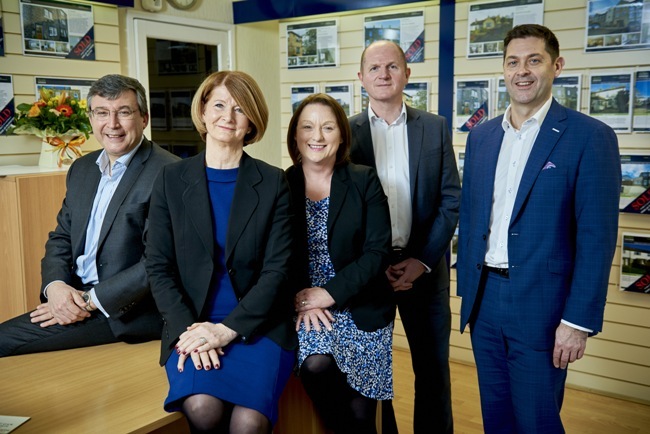 Now, following its latest deals, it employs more than 150 staff and, in addition to its lettings specialism, has added a residential sales division and one focused on the development of land and new homes. The company estimates that it has helped more than 100,000 people move home through its network of branches that has now grown to include Leeds city centre, Horsforth, Roundhay, Chapel Allerton, York, Harrogate, Ripon, Wetherby, Ilkley, Saltaire and Wakefield.